This country theme cobbler apron is all about horses. 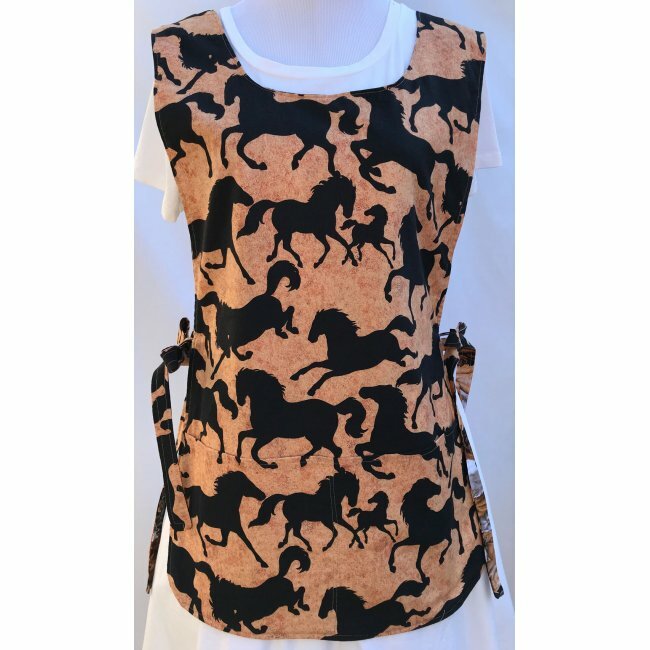 The front side features an allover horse print, with the reverse side of the apron was made using a horse silhouette print fabric. 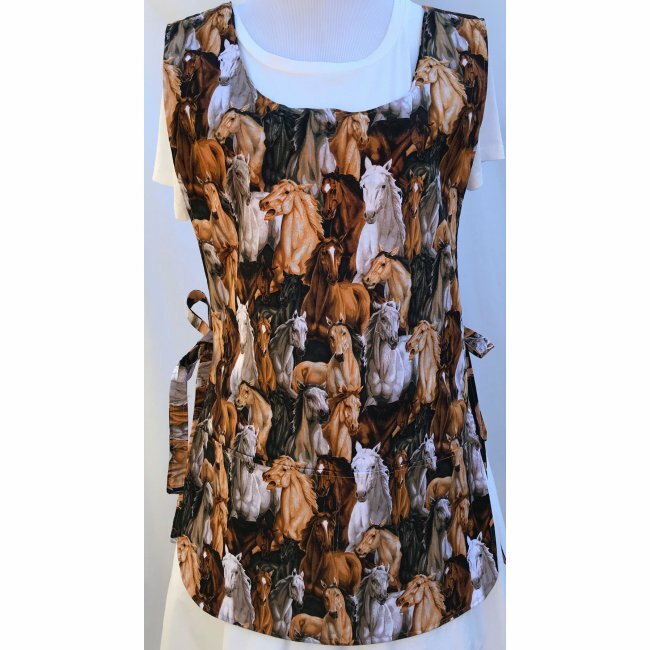 This apron is spectacular and it would make a great gift for a horse owner.